From Google to OnePlus, a variety of smartphone leaks surfaced this past week. Here’s a breakdown of almost every smartphone leak from the last few days. The information below encompasses news from September 15th to September 21st. Alleged press renders of both the Google Pixel 3 and 3 XL have surfaced online. The renders reveal the phone in Google’s official fabric cases. For more on the Pixel 3 and 3 XL renders, click here. 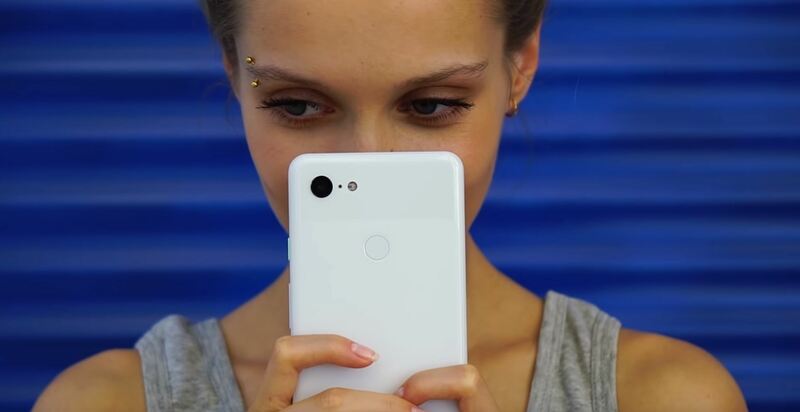 Pixel 3 teaser source code reveals that there is a fourth Pixel 3 colour. While the source code indicates the colour pink, the colour is yet to be guaranteed, and pink is solely a possibility. For more on the Pixel 3 colours, click here. Samsung’s Galaxy S10 series is rumoured to adopt a different design when compared to previous S-series handsets. Further, the company is expected to release phones with more colour options with the upcoming S10 lineup. For more on the S10 design change, click here. Samsung is also expected to launch four S10 variants in 2019. The lowest S10 option is tipped to feature a flat 5.8-inch display, while the other reportedly comes equipped with an edged 5.8-inch panel. Meanwhile, the larger variants will both sport a 6.44-inch displays, with the difference being that one will include a 5G capable modem, while the other doesn’t. For more on the four Galaxy S10 variants, click here. Roland Quandt posted a leak regarding the OnePlus 6T. The image used shows half of the OnePlus 6 with the other half being OnePlus 6T, in order to compare the handsets side-by-side. The 6T is slightly larger and lacks a fingerprint scanner on the rear. Further, Quandt confirms the 6T will not feature a triple rear-camera. For more on the OnePlus 6T, click here. Images of the Mate 20 Pro have surfaced online. The photos show off the Pro’s sizable notch, as well as tall display. The leak also revealed that users can charge Huawei’s Freebuds 2 Pro earbuds by lying the case down on the Mate 20 Pro. For more on the Huawei Mate 20 Pro, click here. The LG V40’s specs have surfaced online. The specs indicate the phone will feature a 6.4-inch QHD+ display with a 3,120 x 1,440 pixel resolution, 3,300mAh battery, 8GB of RAM and 128GB of internal storage. Alongside a selfie shooter setup with 8-megapixel and 5-megapixel sensors and a triple rear-facing camera setup with a 16-megapixel main shooter, sits a 12-megapixel wide-angle lens and an 8-megapixel telephoto lens, according to the leak. For more on the LG V40, click here.